Online bookies are tempting people with gambling addictions to play again once they've closed their accounts, and we look at why the cost of diamonds is going up. 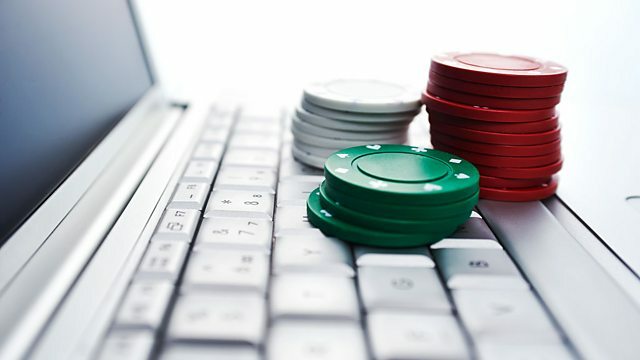 We investigate how online bookies are breaking rules by encouraging gamblers to reopen their accounts when they've asked to be excluded from websites. Origami is becoming the craft trend of 2016. Last year it was adult colouring books. We speak to an origami tutor and an author who is combining origami and colouring to take advantage of both markets. We report from the Energy UK conference where major players in the energy market come together to discuss issues for consumers over the next year. One of the topics is the roll out of smart meters and how the network and energy companies will cope. Marks and Spencer is closing its shops in France. Do the French not like English fashion? We hit the streets of Paris to conduct our own market research. We had a big response to our reports on how much you can and up paying on your insurance policies if you didn't keep your eye on auto renewals. You told us it was a big problem for elderly customers who may not be able to access better deals. We speak to Malcolm Tarling at the Association of British Insurers and Sian Williams from the Toynbee Hall charity about what can be done to help those customers. Brexit is driving up the cost of food, but the price of luxury products are going up too, in particular diamonds. We report from Hatton Garden in London and find out why, you're planning to buy a good quality ring, you'll now have to spend more. And, we're given exclusive access to a special training session for supermarket suppliers to help them spot when big retailers are using unfair practices. It's the crafting trend of the year. Are we bored of adult colouring books already? The British store is pulling out of France, how do the French feel about it? How can we protect vulnerable people from exorbitant fees when they auto-renew? Origami is set to be the craft trend for this Christmas. Children's origami teacher - Yoshiko Shuff -came in to our studio to show Winifred how it's done.